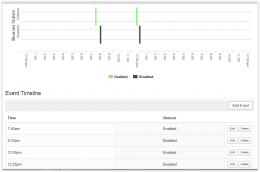 EZ Comm is a secure, cellular modem, remote cloud management system. It provides the central management of your radar speed signs from a single browser-based user interface. Remote Access via Cellular Modem: Twice daily automated communication with radar speed sign or beacon system for updates and downloads. Allows on-demand change requests as needed. Convenient: Authorized users have instant access to the network anytime from anywhere, using a browser-enabled desktop, notebook, tablet or smartphone. Automated Data Collection: Every night, the EZ Comm system will upload traffic data to our cloud based host. The information can be downloaded to your PC or laptop for use with our Excel-based Streetsmart program (separate license). 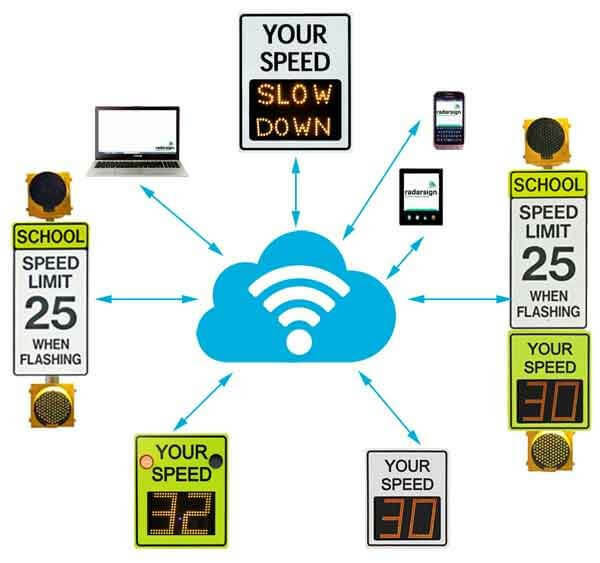 Historical data is retained by our host system for a full 12 months for each radar speed sign. 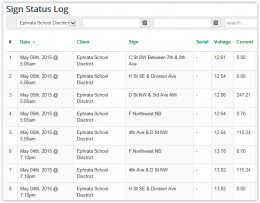 Raw individual vehicle records are also available for customizing your own reports. Cost/Resource Effective: Eliminates the need for resources to be deployed to the field to manage individual signs. This saves time, fuel, and training costs. Easy Scheduling: A full year schedule can be pre-programmed in advance; multiple devices can share the same schedule. Accurate: GPS receiver in the network controller obtains its calendar time base from ultra-accurate atomic clocks. This ensures on-time system activation and allows the entire system enterprise to be seen from a GPS map. System Alerts: Provides daily diagnosis of device health and battery levels. It also notifies system if power drops too low or device fails to communicate with the host. 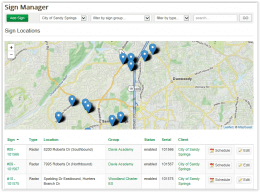 SIGN MANAGER: GPS map of sign locations, groups of signs, and the ability to review and edit schedules from a single screen. 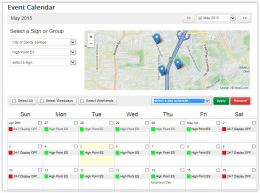 EVENT CALENDAR: GPS map of group, with monthly schedule, and the ability to apply or remove schedules by the date, weekends only, weekdays only, or for the entire month. EVENT TIMELINE: Graphic display of on/off schedule, with ability to change daily setting per device or group. STATUS LOG: Shows location of each device and snapshot of battery voltage. 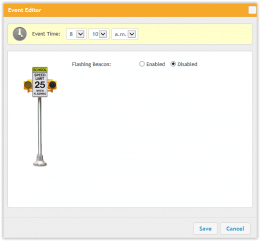 EVENT EDITOR: Used to enable/disable device by time of day.